With a compact design and integrated 24V PoE passthrough, the airCube™ is a home Wi-Fi access point designed to interoperate with airMAX® CPEs and is available in two models. 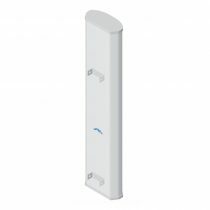 Innovative Super Antenna provides wide-area coverage beyond regular Wi-Fi access points. 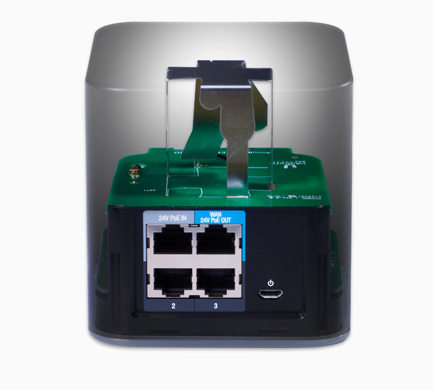 The airCube can be powered by and provide power to an airMAX CPE using 24V PoE. 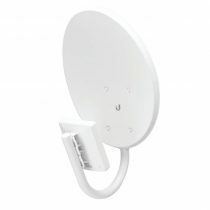 With a die-cast aluminum base and interchangeable antenna, the PrismStationTMAC, brings increased performance to your network using technology that isolates beam communications between your devices. 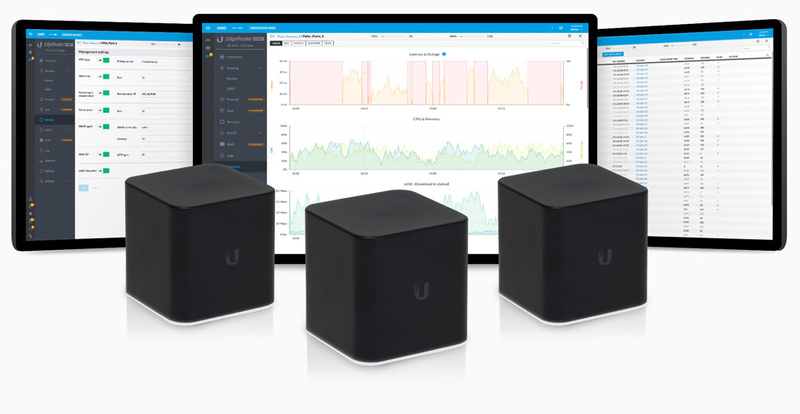 Utilizing Ubiquiti’s advanced airMAX® ac processor, the PrismStationTM delivers throughput speeds up to 500+ Mbps and signal ranges up to 5+ km (3+ miles). Incorporating advanced engineering with proprietary airMAX ac technology, the PowerBeam® ac ISO is ideal for deployments requiring maximum performance and RF isolation. 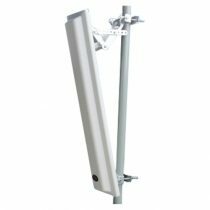 The Ubiquiti IsoStation 5AC (IS-5AC) provides high isolation solutions in fixed beamwidth increments through interchangeable horn antennas that have been optimised for an urban environment. The tailored antenna radiation patterns spatially filters both in-band and out-of-band spurious RF emissions to increase the noise immunity of the IsoStation 5AC. This feature is especially important in an increasingly congested RF environment. 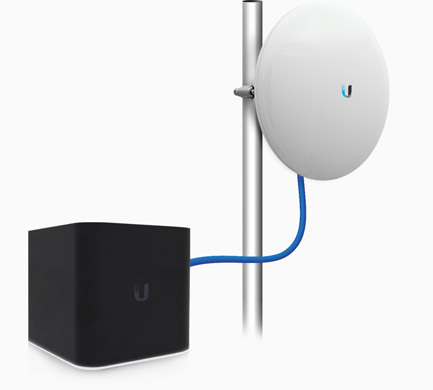 Ubiquiti 2 GHz Networks has designed airMAX ac radios with high performance and ease of installation in mind. The Rocket®2AC Prism features both airMAX ac and airPrism technologies for maximum wireless performance in high‑density areas. Deploy the Rocket 2AC Prism anywhere in the world. 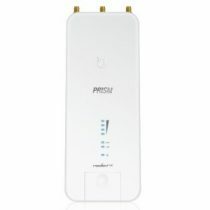 It delivers complete coverage of the 2.4 GHz spectrum with a single radio. The Rocket 2AC Prism allows for flexibility in configuring channel bandwidths (subject to local country regulations). 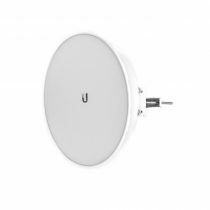 Featuring a dish reflector design and dual-polarity performance, the NanoBridge®M is Ubiquiti Networks’ pioneering all-in-one design for an airMAX® CPE.